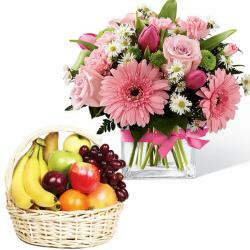 Pink flowers are always a mood-changer and red flowers feel romance. 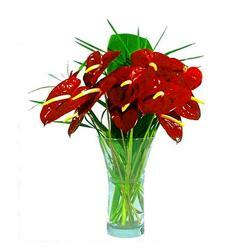 If you are at a loss to figure out to what gives your date, a close friend or a favorite on their special days, is sure to find your answer to a bouquet of freshly chosen to flowers. 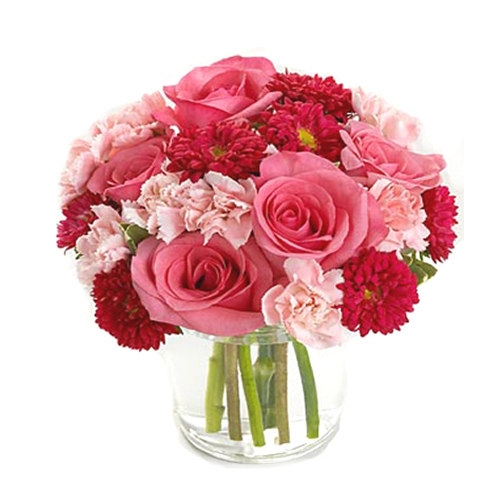 We offer these pretty 18 flowers like Pink and red Roses and Carnations come in a glass vase that lends it an even better visual appeal. 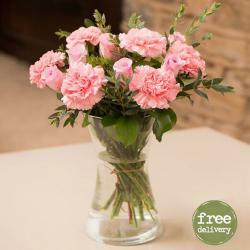 You can send these pretty flowers on occasion like graduation parties, engagement ceremonies, birthdays, weddings, anniversaries, hens parties and weddings, new house party. 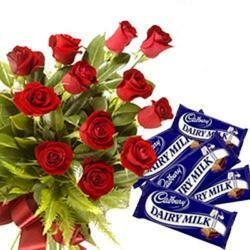 You can send flowers on festival like Diwali , Rakhi , Holi, x-mas , new year, and many more.